HTC has unveiled more details on its all-new blockchain phone. The Taiwanese phone maker has revealed that the HTC Exodus will be available early to fans in the third quarter of 2018. 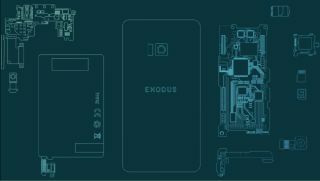 The Android-powered device is set to be powered by blockchain technology, including a cold storage wallet that will support all major cryptocurrencies, including the likes of Bitcoin and Ethereum, as well as decentralised apps. “In the new internet age people are generally more conscious about their data, this a perfect opportunity to empower the user to start owning their digital identity," said HTC chief crypto officer Phil Chen. "The Exodus is a great place to start because the phone is the most personal device, and it is also the place where all your data originates from. I’m excited about the opportunity it brings to decentralize the internet and reshape it for the modern user." As part of the launch, HTC revealed it is partnering with Cryptokitties, reportedly "the most popular NFT game on the blockchain", to exclusively distribute it on mobile via selected HTC devices, starting with the U12+. HTC also revealed two further blockchain partnerships with Animoca, the distributor of Cryptokitties, and Bitmark, the crypto based digital ownership project, both of which it hopes will help further development in the industry. There's still no details yet on pricing or availability, but fans looking to find out more on the HTC Exodus can sign up on the official website. What is blockchain? Everything you need to know,..